"NW Dental in Bellingham is a very friendly place!" "I was not sure what to expect but the service was excellent." "Always helpful and appt made easily and convenient to my schedule." "Super friendly, gave me options for procedures ..very nice." 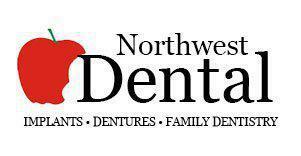 "Northwest Dental were outstanding! They were professional, courteous and...helpful." "Awesome staff and service, very sensitive to the patients needs." Eric Hansen, LD, of Northwest Dental, along with his late father, worked hard to develop his skills as a licensed denturist and to pass laws that recognized and regulated his profession in the state of Washington. Today, his skilled team — which includes Jennifer Ra, DDS; Kathy Han, DDS; Cody Carson, LD; Melissa Brulotte, LD; and Farzad Khalili, LD; — offers an extensive line of dentistry and denture services to patients of all ages in the northwest Washington area with five locations in Bellingham, Burlington, Arlington, Everett, and Oak Harbor. They also provide help for snoring and sleep apnea, emergency dental services, teeth whitening, and dental surgeries. The licensed denturists at Northwest Dental personally design, construct, and manufacture custom dentures on-site in their dental lab with the highest quality products. Being on-site makes it possible for patients to be more involved in the denture fitting process and to make changes as needed, ensuring a perfect fit and appearance. The dental experts at Northwest Dental look forward to helping each dental and denturist patient achieve the best results in their overall dental health and well-being. Northwest Dental accepts most major insurance plans. Please contact our office if you do not see your insurance plan listed. "Dr. Jennifer Ra and her team were so professional, efficient, and friendly. To top it off, the office staff are lovely and helpful." "This place is phenomenal. Eric is one of the best denturists in WA and when he's in Burlington he's got the 2nd best denturist working there too!" "I want to say Northwest Dental is by far the most excellent dentistry available in all of Skagit County. I look and feel beautiful and am very pleased."